and a tourist / visitor attraction offering a unique and memorable experience interacting with friendly, adoptable cats at the beach. Please will you join me in investing in Cat Beach cats? Help us build the future for the cats? Could you invest in a gift once a month to help cats? For the past 3 years, I have given my all to seeing that cats and kittens rescued from desperate situations have some place to go. 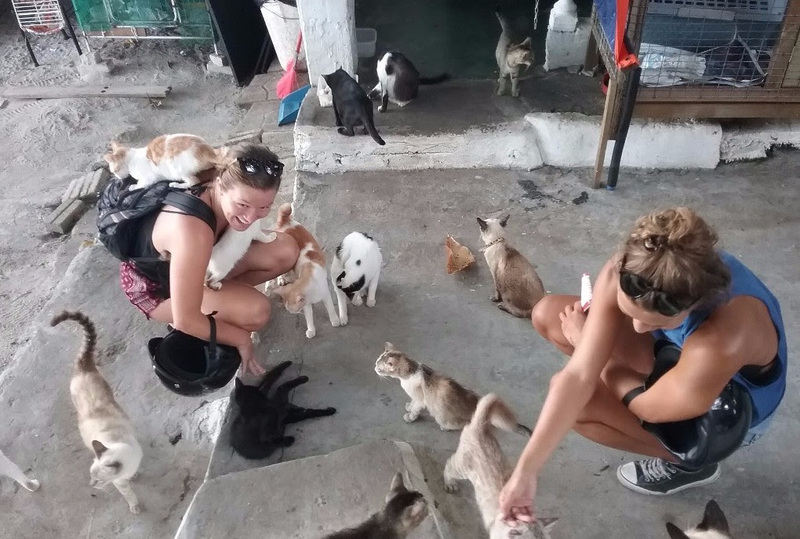 And in that time, Cat Beach has become something more than a shelter — it is truly a very special place where people come from all over the world to “share the love” with cats. 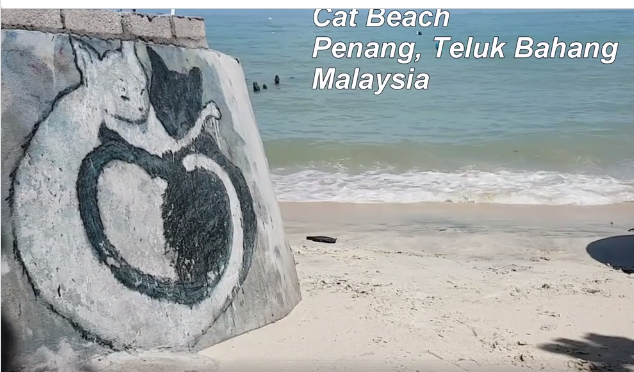 People want to come to Cat Beach Penang; this gives real hope for the future. Like the Cat Islands in Japan and the Cat Cafes opening around the world, Cat Beach has a chance to become a tourist attraction. Teluk Bahang is up-and-coming with animal-oriented sites including Monkey Beach and Turtle Beach, the Entopia (Butterfly Farm), and Escape. Animal shelters in Phuket and Koh Lanta, Thailand receive the highest ratings on TripAdvisor. We hope someday that Cat Beach will rate high and that visitors contributions will help to meet the growing costs of cat care. Cat Beach is also fast becoming an educational centre. Students from high schools and colleges have asked to come to volunteer, intern or just spend a lovely time with cats. In recent months, we have had groups including the Leo Club (junior Lions), AISEC international volunteers, and USM as part of their Convocation events. Pre-vet students and people exploring animal care as a career have found us and we hope to build a professional quality internship and volunteer program in the future. What started as a small project for about 100 cats has grown beyond my personal resources to handle. You are needed. Together we need to bulid a community of support — Cat Lovers International Society, Penang. As Cat Beach becomes known, kind rescuers keep bringing in more cats. Scarcely a day goes by without another cat or a litter of kittens arriving – each with a tragic story that melts our hearts. We are now caring for nearly 300 cats with only a small hardworking staff of volunteers. To become a visitor attraction that gives a special experience while it supports cats’ welfare. 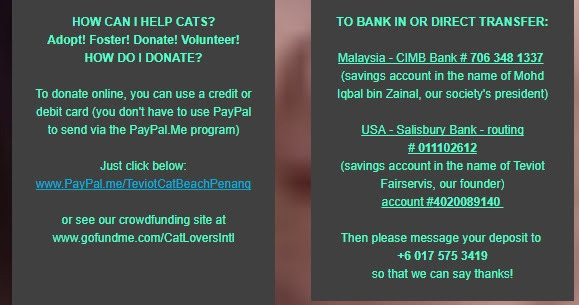 Together we can build a wonderful future for Cat Beach Penang’s cats! Copyright © 2017 Cat Beach Sanctuary / Cat Lovers International Society, Penang, All rights reserved.